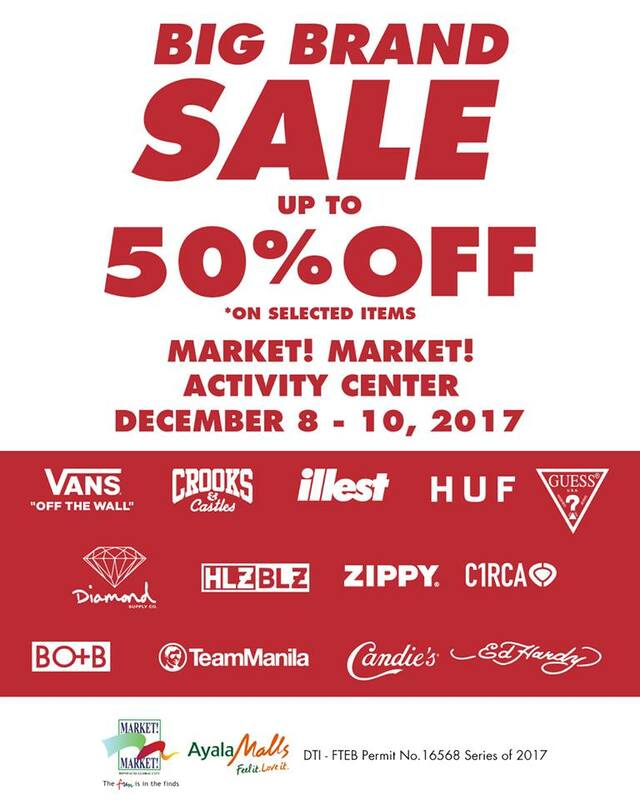 Holiday shopping is more fun with The Big Brand Sale at Market! Market Activity Center from December 8-10, 2017! 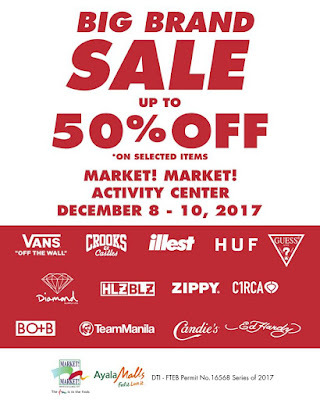 Get your fave brands such as Vans, Guess, Ed Hardy, Zippy, Candies, and more are up to 50% off on its selected items!